Davis was placed on injured reserve Saturday due to a dislocated patella, Ian Rapoport of NFL Network reports. Analysis: The Giants announced earlier Saturday that Davis was placed on IR with a knee injury, but the specifics were previously undisclosed. The 23-year-old apparently suffered the minor dislocation while dancing in the locker room, bringing a bizarre end to his 2018 season. Davis (knee) was placed on injured reserve Saturday. Analysis: It's unclear how Davis injured his knee, but he'll finish his rookie campaign with just four catches across seven games, as the Giants primarily used him on special teams. Alonzo Russell will take his place on the 53-man roster. Davis (coach's decision) is inactive for Sunday's game against the 49ers. Analysis: Davis was a full participant in practice Friday and Saturday, but he'll remain sidelined for Monday's game against the 49ers. The reason for Davis' lack of availablity remains undisclosed, but it's worth noting that the Giants never officially announced that the 23-year-old had cleared the league's concussion protocol. With Davis inactive, Quandree Henderson will serve as New York's top kick returner. Davis (concussion) won't carry an injury designation into Monday's game against the 49ers. Analysis: Davis suffered the concussion Week 6 against the Eagles and appears set to make his return to the field after he was a full practice participant Friday and Saturday. It has yet to be announced the 23-year-old has officially cleared the concussion protocol so he may still require clearance from an independent neurologist, but he appears on track to return to his role as the Giants' top option on kick returns. Davis (concussion) was a full participant in Friday's practice. Analysis: Davis appears to be nearing a return to full health after coming out of a Week 6 loss to the Eagles with a concussion. If the depth wideout is able to clear the league's protocol for head injuries, he'll serve as the Giants' top kick returner during Monday's game against the 49ers. Davis (concussion) was a limited participant in Thursday's practice. Analysis: Davis continues to progress in his recovery from a concussion sustained during a Week 8 loss to the Bengals. The depth wideout has missed two consecutive games while in the league's concussion protocol, and he should be considered questionable for Monday's contest against the 49ers. If Davis is unable to suit up, expect one of Odell Beckham, Corey Coleman or Antonio Hamilton to serve as the Giants' starting kick returner. Davis (concussion) is ruled out for Sunday's game against the Redskins, Art Stapleton of The Bergen Record reports. Analysis: Davis will miss his second consecutive game due to a concussion, leaving Quadree Henderson to serve as the Giants' top kick returner once more. With Davis sidelined, it's possible that 2016 first-round pick Corey Coleman could see a slight uptick in snaps in his New York debut. Davis (concussion) has officially been ruled out for Monday's matchup with the Falcons. Analysis: Although Davis has an extra day of rest before before Monday's kickoff, he has been unable to clear the league's concussion protocol. With Russell Shepard questionable (neck) the Giants could have just three healthy wide receivers in Odell Beckham, Sterling Shepard and Bennie Fowler. Davis will now set his sights on a Week 8 return. Davis (concussion) was unable to practice Friday. Analysis: Davis and the Giants have an extra day of rest, as they play Monday night. If the 23-year-old is forced to miss time, Sterling Shepard or Odell Beckham could see extra work on special teams and Bennie Fowler could see more time on offense versus the Falcons. Davis agreed to a contract with the Giants on Friday. Analysis: Davis' spot on the 53-man roster comes in conjunction with the placement of Jonathan Stewart on injured reserve. 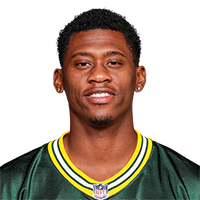 With Cody Latimer (knee) ruled out for Sunday's game against the Saints and Stacy Coley (hamstring) questionable, Davis will likely see work as a return man Week 4. There are no videos available for Jawill Davis. Click here to view all videos.